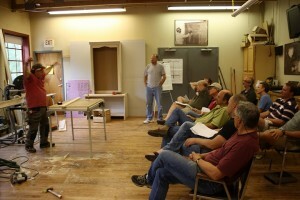 Cabinet Built-Ins: Another Successful Class at Highland! Last month, Kreg McMahon taught a well-attended cabinet built-ins class at Highland. 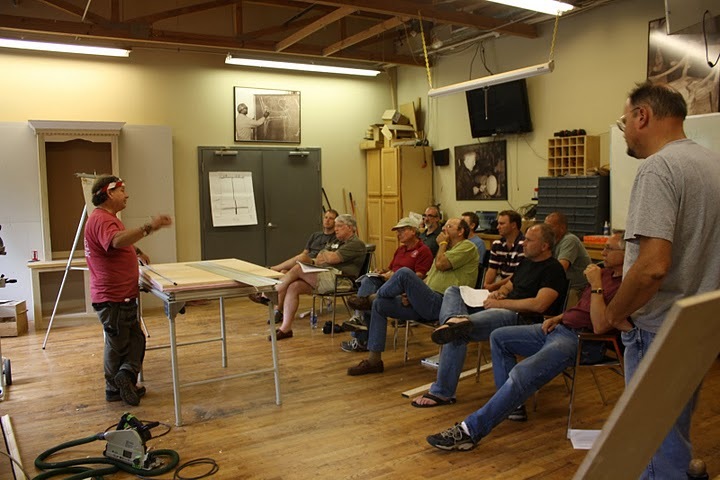 In the class, Kreg demonstrated all the construction steps of building a custom built-in right onto a wall, including design & planning, sheet good processing, joinery methods, adjustable shelf holes, design detail enhancements and face frame cabinet door construction. Kreg is a very enthusiastic teacher! Interested in taking a class at Highland? 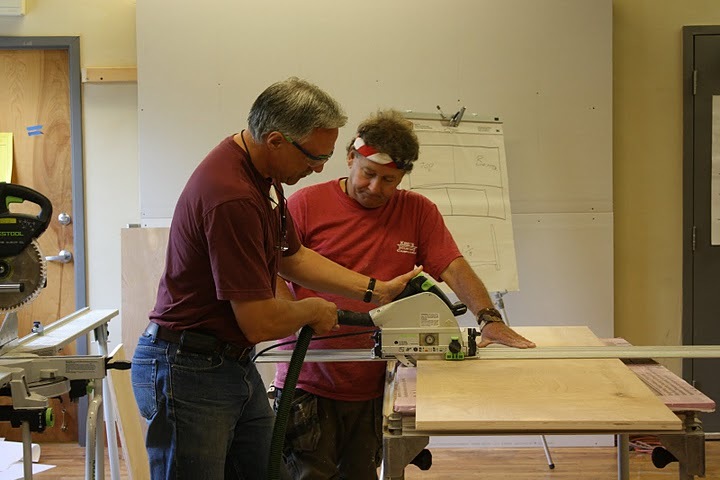 We offer a large selection of topics, from chip carving to timber framing to woodturning to all kinds of finishing, and many project based classes where you can build a shaker table, a peppermill, a bookcase, a picture frame or even a windsor chair. Take a look at our 2011 class schedule and sign up today!